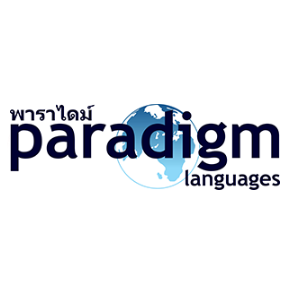 Paradigm Language Institute is a leading exam preparation and academic English school in the heart of Bangkok with its own state-of-the-art ETS authorized test center. The institute has a strong reputation for successfully preparing students for IELTS, SAT, IGCSEs, IB, GRE & GMAT, and TOEFL iBT & TOEFL ITP as well as Academic Writing and research skills. We teach students from the most prestigious schools and universities in Thailand who then usually recommend their friends and classmates to come to Paradigm. Students who study with Paradigm enter into Bachelor and Master Degree courses in some of the World's best universities in the UK and the US as well as leading international courses at home. We are committed to giving high quality services to all students - top teachers, great study packages and an excellent learning environment. We are also a very popular test center for the TOEFL iBT, TOEFL ITP and GRE examinations in addition to the authorized IELTS Registration center for both British Council and IDP. Paradigm ensures your exam and academic success. Call (02-2558889) or email (contact@paradigm-language.com) at Paradigm Language Institute for free advice and testing.